Proper truck maintenance is essential to make long trips and ride past rough terrain. However, the proper maintenance might not be cheap and easy to handle. Upgrading your truck to be up to standard and at its best condition can improve its overall performance and lifespan, and make your truck more productive and efficient. Even if your truck is a bit on the old side and you just want to touch it up, or it is brand new and you are wondering about its shiny chrome parts, the benefits of chrome on a truck are numerous. Chrome is basically a kind of plating that is applied over a metal base. With its growing popularity over the more common steel, chrome is now being used in making vehicle accessories including truck fenders and bumpers. Chrome fenders are more protected against rust that comes with age and exposure to the elements. Having a vehicle that is badly affected by rust will not only damage the looks of your truck but might also subject your vehicle to premature wear and tear. 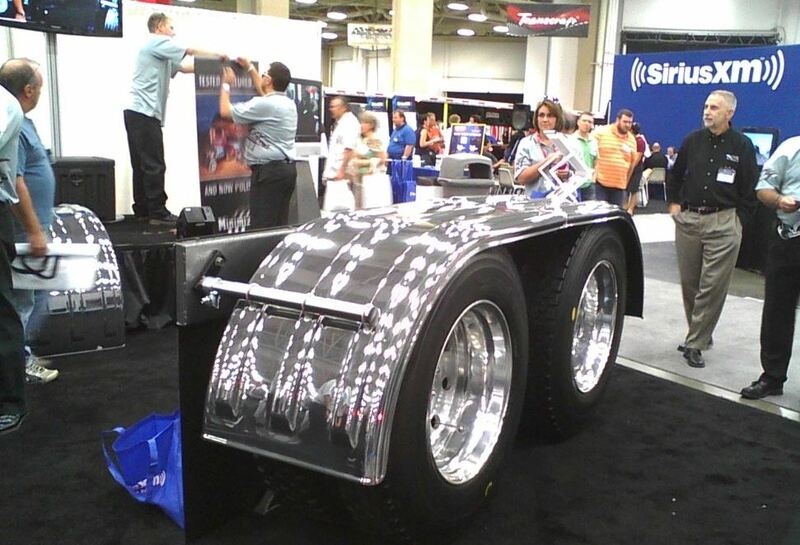 Install chrome plating on your truck parts to prevent damage to its looks and efficiency. Chrome is generally preferred to regular steel because of its shinier, more attractive nature. Without even fully realizing all the other benefits of having chrome plated truck fender, motorists are usually propelled to install chrome plating just for the shine and beauty it adds to trucks. Some trucks are made specifically for long haul rides and eventually get filthier than the driver might maybe like. With chrome fenders and bumpers, at least some parts of the truck will retain a bit of shine and polish. Trucks are more likely to get dirtier than other smaller vehicles. This is mostly due to its bulk and weight, and the distance most trucks travel at a stretch. The bumpers of trucks especially are subjected to dirt and mud splashes, as the vehicle goes through potholes and wet roads. With chrome truck bumpers, although the truck will still get dirty, it would be easier for truck drivers to take a quick wipe at their trucks and get back the gleam on the bumpers. Cleaning chrome parts are relatively easier and do not really require professional handling; however, for tougher, harder debris, truck drivers might need to include some soap and water to clean properly. Chrome plating is available in variety, and for truck drivers who do not prefer the shiny nature of chrome, the metal is available in duller and matte finishes. The metal used in all chrome variations is very light and most preferred to its steel counterpart due to its durability and corrosion resistance. Truck drivers might not be the most famous when it comes to vehicle aesthetics and proper maintenance. Stand out from the crowd by installing chrome truck fenders and bumpers and get the social upstanding that comes with the shine. While enjoying the regard, you and your truck will also be enjoying the other benefits that come with chrome. If you have a truck, you can find all kinds of truck accessories on Iowa 80 chrome shop.